Sometimes, my receptionist gets calls from patients who ask - Will I get to see Dr. Malpani when I come to the clinic ? Many IVF centers have a "famous brand name" doctor , but usually that doctor is so busy , that it's usually their junior or assistant who ends up doing the consultations and seeing the patients. The fact that patients cannot see the "famous" doctor ( whose opinion they want) can lead to complaints and negative reviews. I believe a good doctor should not allow himself to be so overbooked or overloaded that he cannot see all his patients himself. 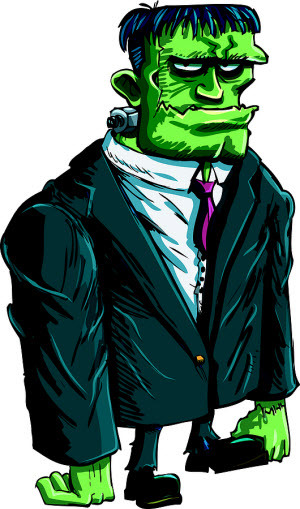 After all, patients come to his clinic to see him - not his assistants ! I spent many years training to become an IVF doctor, and being a doctor means that my core competence is talking to my patients. I enjoy talking to my patients - and feel this is not a task I can outsource to anyone else ! Are you fed up that you never to get to see your IVF doctor during your IVF treatment ? Please send me your medical details by filling in the form at www.drmalpani.com/malpaniform.htm so that I can guide you better ! When it comes to your eggs , IVF doctors tell a woman that the older you are , the less likely that the IVF procedure is going to work right away. The eggs of a younger woman are going to be better in terms of the odds of the procedure working, but this does not mean that an older woman cannot have a child. For older women who are really desperate to have a child, the idea that their older eggs are not as good as a younger women’s eggs may seem quite frustrating. However, what these women have to understand is that this can be equally frustrating to the doctor. Because of these factors, a doctor may not be as willing to take on an older woman as a patient because her chances of conceiving are a lot lesser than a younger woman. In fact, many doctors routinely advise older women to use donor eggs, to maximise their chances of success. 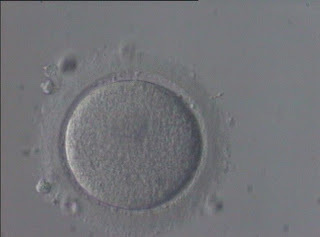 IVF is the best diagnostic tool we have for checking your egg quality. When we retrieve your eggs and the embryologist looks at them under the microscope, even abnormal eggs appear normal. This is because eggs are featureless spheres, and their appearance does not provide us with a clue as to their genetic competence or their ability to fertilise and cleave. The genetic information is locked up in the DNA within the nucleus; while the energy which drives embryo cleavage is provided by the mitochondria in the cytoplasm , which cannot be seen. During IVF, your eggs are fertilized with sperm , and the embryologist will then check these at regular intervals to see how well they are developing . It's only after observing how eggs behave in the IVF lab after fertilisation which allow us to tell if the quality of the eggs of an older woman are as good as a younger woman’s eggs - the proof of the pudding is in the eating ! Worried about your egg quality ? Please send me your medical details by filling in the form at www.drmalpani.com/malpaniform.htm so that I can guide you better ! Advocacy is an unfamiliar word in the Indian healthcare sector. For most people, the word advocate conjures up the image of a lawyer - and for most doctors, an advocate is the dreaded enemy who files lawsuits for medical negligence against them. In reality, an advocate is just someone who stands up for you and helps you in claiming your rights. Parents, for example, have always been advocates for their children. How does this apply to the healthcare field? Darius Khambatta, Advocate General, Maharashtra, will be Chief Guest and KeyNote Speaker; and we will be releasing our book – Patient Advocacy – Giving Voice to Patients, at this time. VIPs get all this as a matter of right of course, but ordinary patients don’t. In the past, the role of a patient-advocate was automatically assigned to the elders in the family, who had a lot of experience. Today, with the breakup of the traditional joint family structure, this role is best discharged by trained professionals. As healthcare becomes increasingly complex and expensive, patient advocacy has evolved into a new discipline. While there are few professional patient advocates, all of us perform this function when we help to take care of someone who is ill , but because it is such an unfamiliar role, we may not know how to perform it effectively . As we all know, doctors and hospitals can be intimidating ! When you are ill, you need someone who will talk for you and talk to you - an independent trusted, wise advisor, who is empathetic and rational enough to help you to take the right decisions. 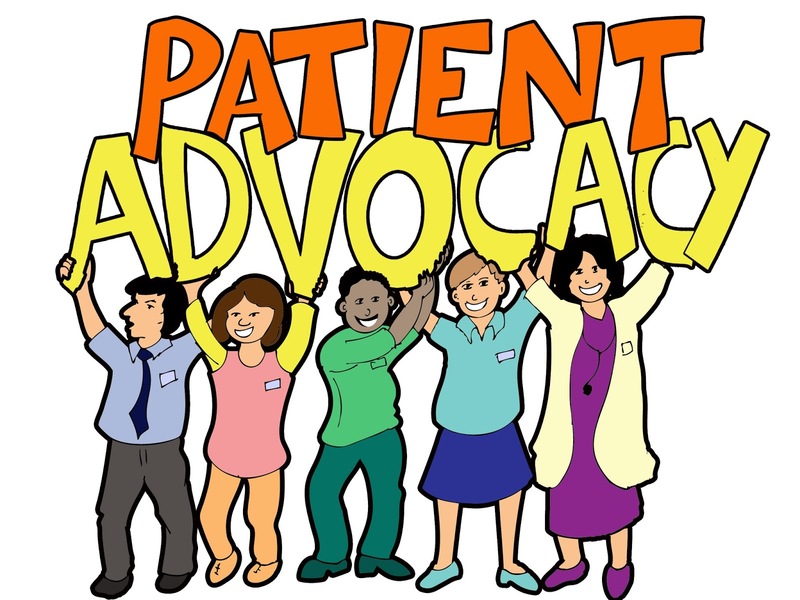 Patient advocates function as a communication bridge between doctors and patients and help patients to access quality medical care. A patient advocate will make you feel safe and well-cared for during your difficult hour because he will go that extra mile to make sure that you get the best care possible. He provides a ''by your side'' service, in which he shadows you to ensure you have an ''extra set of eyes and ears'' monitoring your care. In a perfect world, there should be no need for a patient advocate, since doctors, by the very nature of their job, are already advocates for their patients. Unfortunately, the need for a patient advocate arises all too often, because doctors and patients no longer seem to be one the same page. There are several reasons for this. First, doctors are extremely pressed for time. When you know that you have a waiting room full of patients, it’s very difficult to engage in an open-ended conversation with one patient. It’s much easier to announce the diagnosis, pronounce the treatment and send the patient on his way, no matter if he is confused or distraught. Doctors just don’t have the luxury of time to be able to hand-hold their patients anymore, or give them a shoulder to cry on. Second, doctors love using medical gobbledygook and often forget the impact their words have on their patients. The doctor might think she has done a good job, when the reality is that the patient was so distraught by the diagnosis that he could not neither process the information provided or understand the doctor’s medical jargon. Finally, many doctors are simply not paying as much attention to their patient as they should. They order too many tests, don’t look at all the results and don’t listen to what the patient is telling them. These doctors can become very attentive when they realize that someone else who is knowledgeable is monitoring a patient’s care. Many have medical training and some are doctors. Knowing that another medical professional is watching over a patient's care often makes a doctor more careful. Patient advocates can interpret complex medical information for patients. Some doctors simply can't or won't explain things in a way that a patient can understand. Patient advocates can transmit important information back to the physician in a way that the doctor can understand. Patients, often because they are upset, have trouble communicating their needs or getting to the point. Since patient advocates have medical knowledge, they can sift out irrelevant information and quickly provide the doctor with an effective summary. 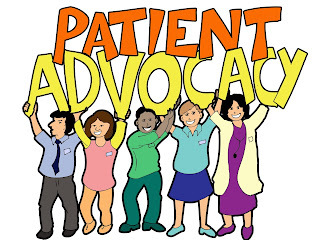 Patient advocates can brainstorm with physicians in a way that the patient cannot, so that they can forge a partnership which helps the patient to get the best possible medical care. Our new book, Patient Advocay - Giving Voice to Patients, explains what patient advocacy is, what patient advocates do and how they do it. Anyone who is ill or wants to help a person who is ill will find this book a useful resource. We all need a helping hand when we are sick. Whenever people gather in large groups, and alcohol is served, people tend to talk about the worst experiences they have ever had in their lives. Sometimes, bad doctors are the subject of discussion - and sometimes the stories are so shocking that even doctors cringe to hear how badly some of their colleagues mistreat patients. However, what people need to realize is that not every doctor is out to make their patients miserable. One of the biggest complaints against doctors is the fact that patients get upset that doctors do not tell them everything. The fact is that doctors are not trying to cheat their patients by hiding information ! 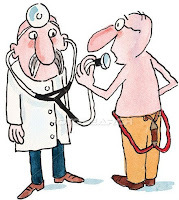 Doctors are not trying to be deceitful when they do not tell their patients about every single complication which can occur - or answer every single question they have. Often , there are real-life time constraints which prevent doctors from having long heart-to-heart chats with their patients. A doctor can have a long line of patients that they have to see, and they just do not have the luxury to spend as much time with every patient as they'd like to ! A doctor's clinic is open for only a few hours of the day, and they have to see many patients - especially ones that are ill. Most doctors are more than willing to tell their patients anything they want to know, and in fact a lot of them, often encourage their patients to fill out a form that asks them proactively to list their question. The good news is that a patient can do something about the limited face to face time they have with the doctor, by doing their homework before the appointment , so they are well-prepared and can make better use of their doctor's time.It's possible to self-prescribe Information Therapy ! Patients need to have patience, and they need to cut their doctor some slack rather than jump to the conclusion that the doctor is a cheat ! Finding it hard to get your IVF doctor to answer your questions about IVF ? Please send me your medical details by filling in the form at www.drmalpani.com/malpaniform.htm so that I can guide you better ! Are Busier Doctors Better Doctors ? As an IVF doctor, my time is precious to me. During the time that I am not seeing patients, I am doing my best to make constructive use of my time. I am sure this is true of my patients, who don’t want to waste their precious time twiddling their thumbs in my waiting room. Many doctors still feel that having a room full of waiting patients is a testimonial to their medical skills. Having patients wait hours on end to see them massages their ego because they believe that the fact that their expertise is in such great demand proves that they are the best ! 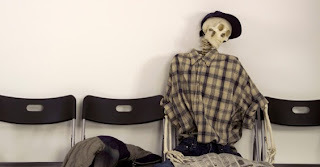 I feel that a medical professional with tons of patients waiting for him in the waiting room is not a good doctor. An overbusy doctor is a doctor who does not have good time management skills, and this is clearly evident when there are so many people waiting in the room that they are sometimes stuck for two to three hours , just to get seen. An overcrowded waiting room is a sure way for a doctor to get a lot of complaints against them and a lot of negative reviews. While patients in the USA are quick to complain, in India patients are happy when they are made to wait. They feel that a very busy doctor is a good doctor because there so many patients who are clamouring to see him. Doesn’t this prove that he must be an expert ? Sadly, this is far from the truth. If the doctor is too busy, he starts getting anxious because he knows he has lots of patients to see before he can head home. He is likely to be irritable – and may start taking shortcuts, because he needs to have his dinner ! As with everything else in life, the middle path is often the best, and doctors need to learn how to manage their time, so they can do justice to their profession and their patients ! Are fed up waiting for hours on end for your IVF doctor to explain what is happening to you ? Please send me your medical details by filling in the form at www.drmalpani.com/malpaniform.htm so that I can guide you better ! Patients Need to Make Their Voices Heard ! When doctors deal with patients ,there is sometimes a lack of communication. A doctor has been going to school for a long time, and will often speak in medical terms that the patient cannot understand. A patient may be too embarrassed to let the doctor know that everything he is telling him is going above his head. The poor doctor maybe completely clueless that the patient has no clue as to what he is talking about ! If things go wrong, the patient may feel cheated that the doctor did not explain the treatment plan properly to him - and may retaliate by giving the doctor a lot of bad reviews , or file complaints against the doctor, because of this miscommunication issue. A doctor may not understand what it is to be a patient. Many doctors are so busy, that it's hard for them to be empathetic all the time. Not all doctors have a good bedside manner - and the doctor's cool professional mien and detachment can often intimidate the patient. Often the patient remains silent out of fear, because he dares not question his doctor , as he is worried that the doctor may take offense if he does so. If a doctor could only understand what their patients were feeling, then that would help the doctor become a better physician . Open communication is very important because without it, the patient may be resentful toward the doctor, which can end up turning into anger if there is a complication. That patient may decide to go to another doctor. The doctor may soon discover that their patient has left, and not have any idea why the patient felt the need to go to another medical professional. To help patients find the courage to speak up, there is a program called Speak Up. The Speak Up program is designed to help patients ask the right questions. The trick is for patients not to waste the doctor’s time, but to ask questions that have been well researched. With the help of the Speak Up program, a patient can learn exactly what their rights are. A patient needs to remember that even though the doctor is a medical professional, that they are still human beings that cannot read minds. Remember, a patient has a voice and has to use it! Having a hard time getting your IVF doctor to listen to you ? Is everything he is saying going above your head ? Please send me your medical details by filling in the form at www.drmalpani.com/malpaniform.htm so that I can guide you better ! IVF Literacy - what's your IVF IQ ? How my bright daughter is lighting up lives ! Why I am so proud of my daughter ! 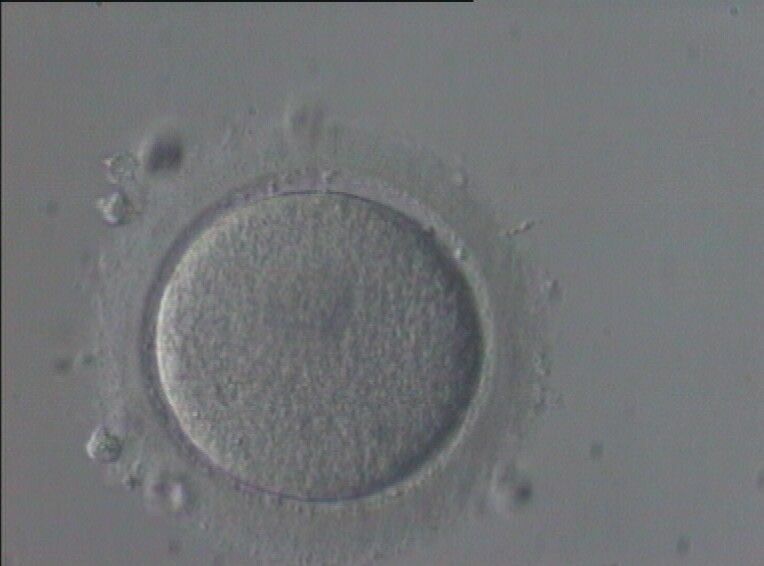 Why Is the First IVF Cycle the Toughest?